HOSPICE CAREGIVER OF THE YEAR FOR 2018 IS CANDICE GREENLEE! JANUARY 2019 CAREGIVER OF THE MONTH IS Ivy Tester! 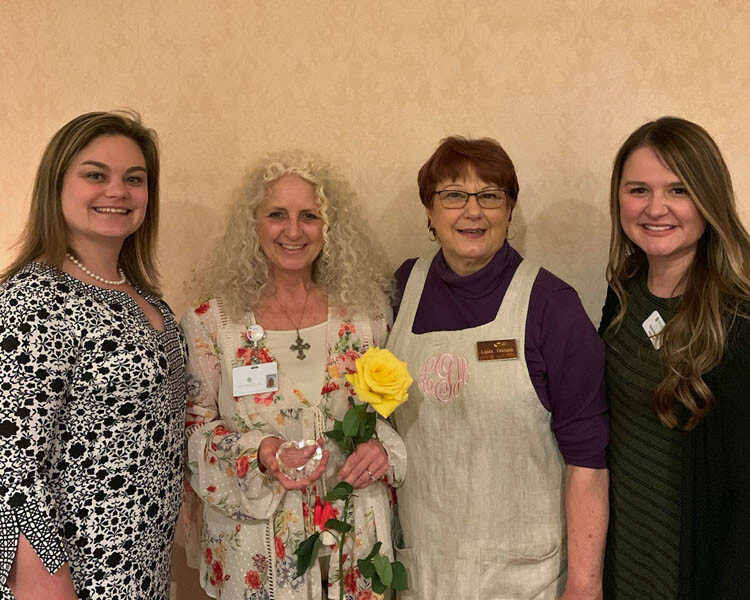 IVY TESTER, RN with Ballad Health Hospice in Johnson City, TN is the winner of the January 2019 Hospice Caregiver Award, presented by Tetrick Funeral Services. Ivy was nominated by three people; the first being Phyllis Cornett who said in her nomination that having had my mother in the same hospice, in July 2018 the need came for my uncle Samuel Ashby to be admitted to hospice. My brother and I immediately chose Ballad Hospice. Being in a facility in Chuckey, the facility told us they would have to research if they could have that hospice agency. We decided if they could not that we would take him home so we could have Ballad. They did have the ability to provide Ballad. We were very blessed to have Ivy Tester as our primary nurse for his care. She came to admit him and knowing just four months earlier we had lost our mother, she was so caring! She explained everything to us in a knowledgeable but empathetic way. She provided excellent care to my uncle as well as to us. She kept us updated with each visit she made. To put it in a nutshell, we had very great care from a wonderful nurse who cares for her patient and the patient’s family. The second nomination came from Bryan Broyles, David Broyles, and Kelli Grenti. The nomination was forwarded to me by Hannah Counts who said she was sending it to me on behalf of the Broyles family. Hannah said Ivy has been with hospice for over 15 years and continues to love and spoil our patients and families. Ivy, no words or actions can fully express how grateful we are to you for all the love and care you showed Daddy during his last weeks and days with us. From the first day we met up with you and the hospice family, you brought a special brightness and hope to the darkest of valleys. You helped alleviate Daddy’s fear and took such good care of him and helped us to know how to as well. You are blessed by God with a beautiful spirit and we are thankful He brought you to us at a time such as this. Thank you! Lastly, Mrs. Nancy Farr said that Ivy is such a sweet person. She made Frederick and me feel so comfortable. She knew when she came through the back door whether he was having a good day or not because he was sitting in the dining room when she would come and she would joke with him a few minutes when she entered. This was how she would find his pain level by a joke. She is so knowledgeable about the medicines and didn’t push him but would explain why each medicine was needed and told him that the decision and consequences were his to decide. Ivy is a wonderful nurse! Thank you, Ivy for doing such an exceptional job of taking care of your patients and families. You have truly exemplified the qualities of an excellent hospice nurse. 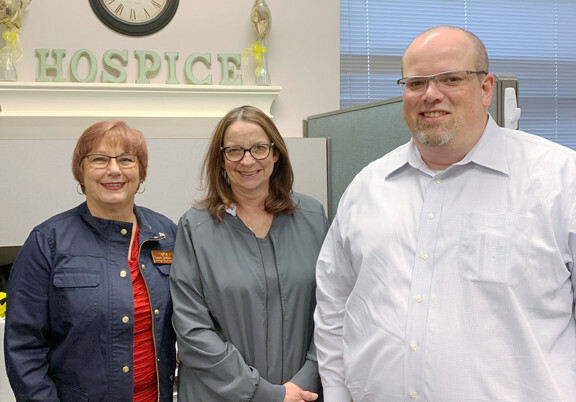 We at Tetrick Funeral Services are honored to present you with the Hospice Caregiver of the Month Award for January 2019. February 2019 CAREGIVER OF THE MONTH IS Sherry York! Sherry was nominated by Cindy and Anna Coletti whose husband and father Anthony Coletti was a patient with Avalon Hospice . Cindy said, “When Anthony was ill, Sherry made herself available to each one of us (5 people) on an as-needed basis. For my youngest child this was especially necessary even through the first year; early on meeting weekly and less frequently with the group during the second half of the year. Sherry listened to our difficulties and fears with a non-judgmental attitude. She encouraged my children to have hope and gave them the opportunity to talk freely alone with her. For me personally, she was there at all the critical times. Sherry, congratulations on an excellent job in taking care of your family. Oak Hill Funeral Home & Cremation Services is very appreciative of you! March 2019 CAREGIVER OF THE MONTH IS Linda Byrd! 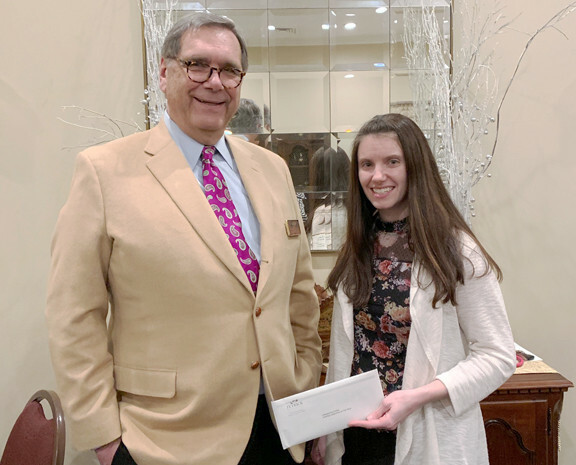 LINDA BYRD, CNA with Amedisys Hospice in Elizabethton, TN is the winner of the March 2019 Hospice Caregiver Award, presented by Tetrick Funeral Home and Tetrick Funeral Services. 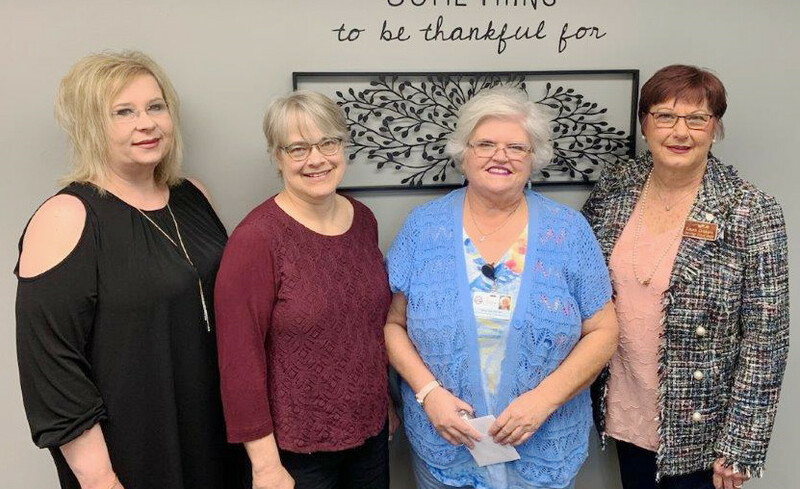 Linda was nominated by Vicki Ahrent from Limestone, Tennessee, Pam Bowman, room- mate of Thelma Pierce (an Amedisys Hospice patient) , Hannah Counts on behalf of Kaylea Newberry, and Evelyn Jones. Vicki said, “Linda would spend two hours gently cleaning Warren because he couldn’t move much without being in pain. She was very kind to Warren and always made sure he was clean and happy. Linda helped us all of the time with anything that Warren needed. She stayed on top any issue until the problem was resolved. We couldn’t thank her enough! Pam Bowman said, “Linda is a wonderful person! She takes care of my room- mate Thelma Pierce. Every holiday she brings us gifts. She always prays with us during her visits and anything we need – she does for us during the time she is here. She lights up our days when she comes. We are here in this nursing home room 24/7. When she comes in, it feels like a different place. She put a bird feeder up so we can look out the window and see the birds. We look so forward to the days we know she will be coming! For Valentine’s Day, she even gave us candy to give to anyone who comes in the room. We always ask what we can do for her and we always hear the same answer – nothing. We heard about this award through the Amedisys RN. We feel there is no one more deserving than she is. This would be a small way for us to show our love and appreciation for all she does for us. I am not her patient but she still does so much for me – to even bring us reading glasses. This has allowed me to be able to write this to nominate her. Thelma doesn’t read or write but the glasses have helped her to be able to see pictures in magazines and TV clearer. Please consider her for this award for she is so very deserving. Thank you. Signed: Thelma Pierce and Pam Bowman. Hannah Counts, Amedisys Director, submitted a nomination on behalf of Kaylea Newberry. Kaylea said, “Linda tirelessly invests her time in the lives of our patients and their families. She hosts a monthly activity at our local assisted living with money from her own pocket. Out of her personal funds, she also buys gifts for the holidays for the patients. Linda has such a gentle touch with the patients and is able to get our dementia patients to take a bath when no one else can. She is always being recognized in obituaries by those she has cared for. Linda takes care of each and every patient with dignity and care like she would her own family. Linda is truly a gem and such a blessing to our team; she is always willing to go the extra mile and add to her patient list when needed. The last nomination for Linda was submitted by Evelyn Jones. Evelyn said, “I am so happy to have Linda taking care of me. I always look forward to seeing her at my door. She is so kind and good to me. She does a wonderful job with my bath and all of the other things she does for me. She is the best. I am so blessed to have Linda taking care of me. Linda, congratulations on performing an excellent job in taking care of your patients and families. Tetrick Funeral Home and Tetrick Funeral Services greatly appreciates your dedication, care, and compassion!